The Bible tells us that all we are all sinners and have fallen short of the glory of God. But, what does it mean to sin? The word sin comes from the Greek, hamartánō, which means to “miss the mark.” Miss what mark? Missing the mark is symbolism that is derived from the practice of archery – of having shot an arrow and failing to strike the target. Therefore, sin is having failed to strike the bulls eye of God’s standard of perfect obedience, or perfect living. I can relate to that! I admit, I have missed the mark many times myself. How about you? I think we can all agree that none of us are perfect, nor have lived an absolutely perfect life. Yet, God’s standard for us to make it into heaven is still perfection, because there is no sin in heaven. Since God is holy and perfect in everything He does, everything in heaven is perfect, as it should be. So, in order for us to be saved and allowed to enter into heaven, our heavenly Father sent His only begotten Son, Jesus Christ, into the world to be perfect for us, and pay the penalty for our sins. Through our faith in Christ’s atoning work on the cross, His perfect obedience and righteousness is imputed unto us. Imputed means that our sin debt was placed upon Him on the cross, and His perfect righteousness is transferred unto us. When did this occur? The day we believed. It was a free gift of God’s grace through faith. We did not earn it, nor deserve it, but God gave it to us anyway. We are justified (cleared of all sin guilt) freely through the redemption that He provided for us in Jesus Christ. How far have you missed the mark? 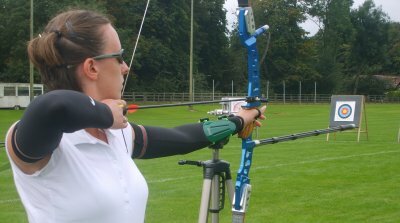 Imagine participating in an archery competition: You shoot your arrow and get about three-quarters of the way to the target. Other people next to you shoot their arrows and only get about half the way. Still others may miss the mark by a mile while others by an inch. 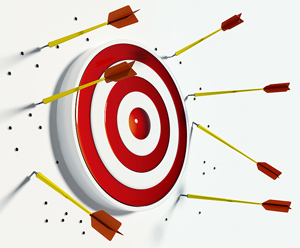 No matter how close anyone gets to the target, everyone is disqualified just the same. Our sin debt is like that. Jesus Christ died to save every sinner. It does not matter to God how close or how far you’ve gotten to the target, or how much you have sinned in the past, He is willing to forgive us all the same. Whether we’ve sinned a little or a lot, He does not judge us on this basis. Everyone is already condemned because no one was ever righteous enough to be saved by his or her own merits; everyone has missed the mark. There is none righteous, no not one. However, when we come to faith in Christ, everyone is equally given a clean slate and allowed entrance into God’s kingdom on the same basis: By grace through faith alone. Therefore, we conclude that since all of us have missed the mark and fallen short of God’s standard of perfection, we must enter into God’s kingdom by faith, trusting upon His grace and forgiveness. Because God is merciful, He provided a way for our sins to be punished on the cross of Christ, so that we would not have to suffer His judgment for our sins. God the Father has justified us and forgiven us completely, through our faith in the redemptive work of Jesus Christ, our Savior and Lord. Afterward, through the regenerating work of the Holy Spirit who dwells in us, we are now capable of honoring and obeying God’s moral laws. We are no longer powerless to the desires of sin, but mighty in power to live victorious as conquerors in Christ. It is no longer we who live, but Christ who lives in us, who loved us and gave Himself for us. Let us, therefore, endeavor to keep from continually missing the mark and making sinful choices. Let us honor God with our hearts, minds, and bodies forevermore. “The Glory of God” in Romans 3:23 refers to the praise or approbation of God. The Jews had sought to be justified, or approved, by God the keeping of the Law, which was impossible to perfectly do. They did not realize they had all failed. Their works of the Law had not secured God’s approbation, and Jesus said they were still under condemnation. The Hebrew word for sin is chata, pronounced khaw-taw. It also means to miss the target, make a mistake, an error in judgment, commit a sin against God. Sometimes the idea of sinning against a fellow human being is also present. 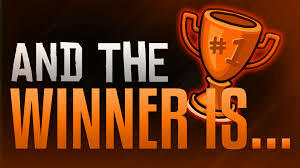 Categories: When You Miss the Mark | Tags: Approbation of God, Ephesians 2:8, Faith, Forgiveness, Galatians 2:20, Grace, Meaning of Sin, Missing the Target, Romans 3:21, Romans 8:37, Salvation | Permalink. If we truly love God with all our hearts, minds and souls, as Jesus commanded us, we will endeavor to please our heavenly Father in every area of our lives – how we speak, how we live our lives, and how we treat others. Before we came to saving faith in Jesus Christ, we wandered this earth in uncertainty, restlessness, and sinful choices. We had no lasting peace or joy in our lives, because we didn’t really know the true source of all peace and joy. We were alienated from God, and thereby the most miserable people. Then, one day, we heard the gospel of Jesus Christ for the first time. Our hearts opened up to the good news that God loves us, has a perfect plan for us, and wishes for us to turn our lives back to Him. He would forgive us of our rebellious ways and accept us back into His family – if we would acknowledge our transgressions. Like the story of the Prodigal Son, our heavenly Father would throw a big celebration in heaven on our behalf, in order to rejoice in our return. And He did. Afterwards, we began living a new life of faith, our sins were washed away. We had peace with God for the first time in our lives. All our doubts and insecurities were dispelled. 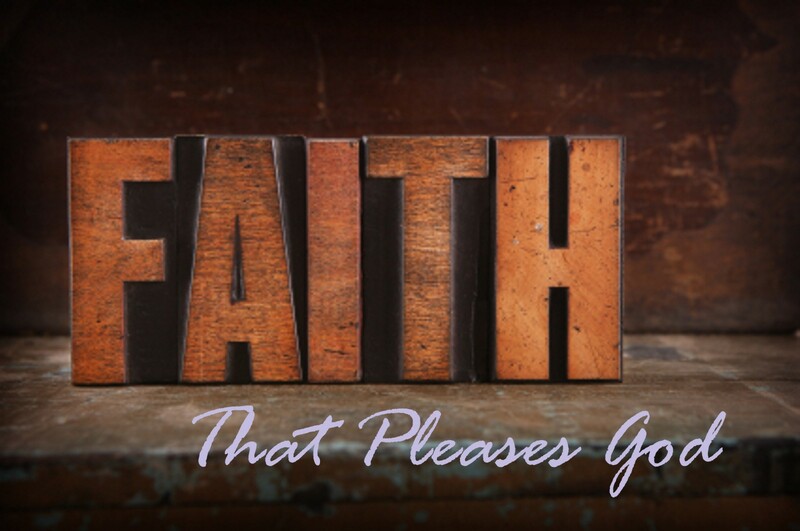 We now earnestly seek God everyday and trust in His promises through faith. We no longer feel condemned, for there is no condemnation for those who are in Christ Jesus, who live according to the leading of God’s Spirit. Isn’t wonderful to be saved today? Let us praise and thank our Lord and Savior, Jesus Christ, who made it all possible. Let us continue to walk in the kind of faith that produces a changed life, a hope for eternity with God, and manifests the kind of love in our hearts that will please God and help draw others to Christ. Categories: DAILY INSPIRATION | Tags: Faith, Forgiveness, hope, Jesus Christ, Love, No more Condemnation, Peace, Reconciliation with God, Salvation, The Prodigal Son | Permalink. Believe in Yourself – God does! Daily Inspiration – A dose of daily inspiration and encouragement from the Word of God. When I was a young boy, I suffered from low self-esteem. Part of the reason is that I had an abusive and critical father who constantly pointed out all my faults and rarely had anything good to say about me. This did considerable psychological damage. I grew up shy, insecure, and awkward around other people. I felt I was unloved and worthless. But God, our heavenly Father is not that way at all. I discovered after becoming a Christian, that God loved me and thought the best of me. After all, He created me for a special purpose. And that He wanted to always encourage me to succeed in life, not to fail. Did you know God feels the same way about you? If this message has been a blessing to you, contact us and let us know. We really enjoy hearing from you. You might want to order our FREE printed devotional, “Daily Inspiration with Luis Josephus,” which is a collection of inspirational messages, like the one you just read today. Simply visit our resources page at: http://wp.me/PVLmq-2uh and request your free copy by mail. May God richly bless you today and everyday, in Jesus’ name, amen. Categories: DAILY INSPIRATION | Tags: Acceptance, encouragement, Forgiveness, God's Love, hope, Peace, Salvation in Jesus Christ | Permalink. “Nevertheless I have somewhat against thee, because thou hast left thy first love. Remember therefore from whence thou art fallen, and repent, and do the first works…” – Revelation 2:4-5. Jesus is speaking to many of us through this letter to the Church of Ephesus who had “lost their first love.” These Ephesians church members were still blood-washed, born-again believers, but they had lost the excitement and devotion they once had for Jesus. Remember when you first got saved; how excited you were about God? Spiritual backsliding is a common problem in the church. After years of walking with God, many of us may slowly begin to neglect spending quality time with God or even going to church. Our faith becomes lukewarm and we might also backslide morally. The solution for correcting this problem, Jesus said, is to remember therefore from where we have fallen; repent, and do the first works again. Since the first step is to repent, we need to acknowledge our sins to God and ask Him to forgive us. He is always merciful and faithful to forgive us, and to cleanse us, once again, from all unrighteousness (1 John 1:9). Secondly, we must start from scratch in our faith and “do the first works” we once did in the beginning. What are the first works? Spending quality time in prayer and hearing God’s voice. Going to church regularly and saturating your spirit with sound biblical teaching, and collective praise and worship. Fellowship regularly with other believers. If you have lost your first love, or drifted away from God, or fallen into immoral sins, don’t give up on Jesus, because He hasn’t given up on you. He still loves you dearly and desires to restore you back to Himself. All He asks is that you Repent, Confess, and “Do the first works” again. He will restore your life with His abundance of peace and joy. Comment from Pastor Emeka: “Dear Pastor Luis Yosefus, thanks for your newsletter. I am inspired and encouraged by your messages and revelations of the word of God. I am a pastor of a small fellowship in Corby, United kingdom (People for Christ Ministries). Categories: GRACE FOR TODAY | Tags: Backsliding, Church of Ephesus, Cleansing, Eternal Life, Falling into Sin, Forgiveness, God, hearing god, Holy Spirit, Jesus Christ, Loss of First Love, Love, Lukewarm, Mercy, Messiah, Peace, Religion, Repentance, Revelation 2:4-5, Salvation, spirituality, theology, walking with god, Yeshua | Permalink. Are you in a mess today? Did you marry the wrong person, get involved in a business matter you should have avoided, or perhaps done something that has gotten you into trouble? Was God warning you not to do it? Did you ignore His still, small voice inside of you, but you still went ahead and did it? You know you have no one to blame but yourself. You take full responsibility for your mistake. Are you wondering if God can still help you? He is a God of mercy and forgiveness. If you will fess up when you mess up and call upon His help, He will deliver you. God had called Jonah to go to Nineveh and preach salvation to this evil nation. They were the despised enemies of the Jews so Jonah didn’t want to go. He decided to rebel against God and headed to Tarshish – in the opposite direction. His foolish decision almost cost him his life. A great storm engulfed the ship he was traveling in and he ended up tossed overboard into the belly of a huge whale for 3 days. 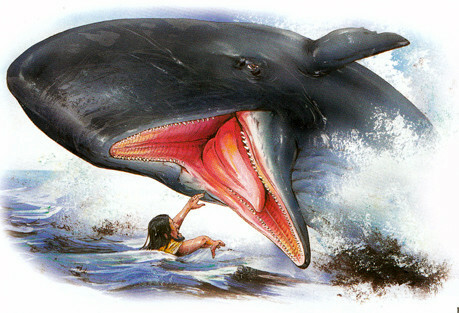 God miraculously prevented the digestive acids of the whale from harming Jonah. Afterwards, the whale spewed him out unto dry land. God gave Jonah another chance, and he took it. God is good at saving us from the dumb things we do. If you call upon Him in humility and faith, God can clean up your mess right now. Don’t be too proud or too stubborn to confess your faults to Him. He is very understanding. Pray and admit your were foolish and rebellious; you didn’t listen when He tried to warn you, and did what you knew better not to do. Ask Him to get you out of this mess and give you another chance to get it right. Pray and ask your heavenly Father to forgive you and restore you, in Jesus’ name, amen. Categories: God can fix your mess | Tags: Disobedience, Forgiveness, Jesus Messiah, Jonah 2:2, Jonah the Prophet, love of God, Mercy, Mess Fixing, Rebellion, Romans 8:28, Stubbornness of heart | Permalink. 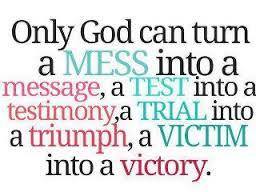 God has not given up on you. In the fallen world we live in, it is easy to be hurt by other people with their critical words and judgmental attitudes. But our heavenly Father is not like that. He loves us just as we are, despite our flaws and wrongful actions. He understands us better than we understand ourselves. He knows what we struggle with and He doesn’t condemn us when we fall short of perfection. All He asks of us is to believe in His love, wisdom and faithfulness, and to surrender our lives to His control. He is our Creator; He made us for a special purpose. Therefore, only He knows best what is right for us. We must trust His judgment implicitly in whatever direction He takes us in life. We must pray that His will be done in whatever decisions we make – even when things don’t always work out the way we planned. Yet despite our disappointment, we know God’s ways are always best. When we rebel against His will, or make sinful choices, we simply need to confess our sins, claim the provision of forgiveness that Jesus made for us on the cross, and receive His cleansing and restoration once again. Don’t worry about what others may say or think. What is important is what God thinks about us. He still loves us. He has not rejected us or condemned us for failing. On the contrary, He still wants the best for us. He is still for us, and not against us. He has justified us in Messiah Jesus and has acquitted us of all guilt. So, if you’re feeling down today, don’t stay there. Encourage yourself in the Lord. Pick up your spiritual feet and keep walking with God. Keep moving forward in faith and try to do better in the future. Although others may condemn and reject you , God will never leave you nor forsake you. Keep holding on to Jesus’ hand. Jesus is our best friend. Oh, what a friend we have in Jesus. Amen. 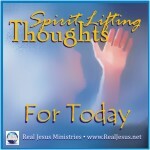 Categories: Spirit Lifting Thoughts for Today | Tags: encouragement, Forgiveness, God's Love, Grace, hope, Jesus the Messiah., Mercy, No Condemnation, No Rejection, Romans 8:33 | Permalink.